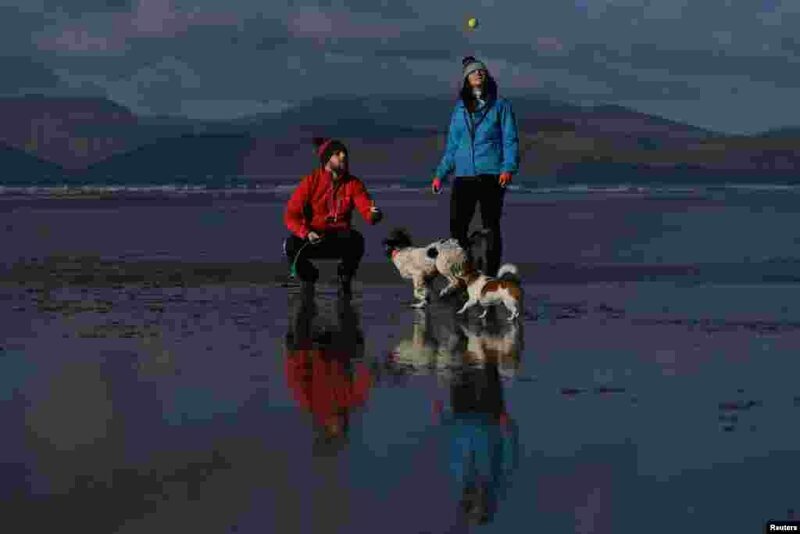 5 Cathal King, 31, a veterinarian, and Jessica O'Connor, 28, a final-year veterinary student in Budapest, pose for a photograph with dogs on Rossbeigh Beach near the County Kerry village of Rossbeigh, Ireland, Feb. 4, 2018. "We met playing tag rugby in Killarney. We're both very active people. We do adventure races, hiking, and love to travel. We've been together three-and-a-half years. I grew up back here in Rossbeigh, so that's the main reason we're here," said Cathal. The dogs are Indi, the Spaniel, which they own together and Pippa, the Jack Russell, Jessica's mother's dog. 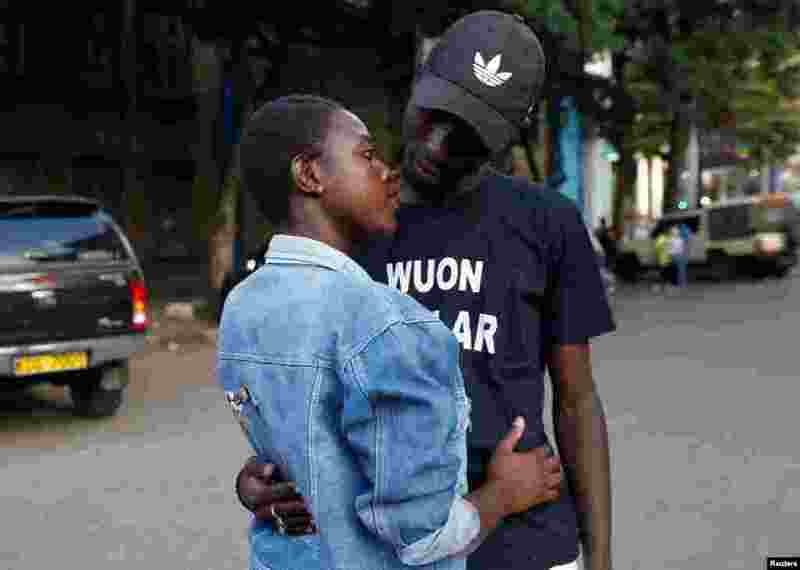 6 Tony Wakaiga, 18, an art and design student and Suzzy Konje, 18, a hospitality management student, pose for a photograph after their date as they walk along Banda Street in Nairobi, Kenya, Feb. 11, 2018. Tony met Suzzy at a modeling photo session on Banda Street and they soon started dating. "We have been very good friends for a long time and our passion for each other has matured like wine. This Valentine's Day, I have a special surprise for Suzzy that will knock her heart out," Tony said. 7 Yolanda Zuniga, 66, and her husband, Antonio Carrillo, 65, pose for a photograph in Ciudad Juarez, Mexico, Feb. 11, 2018. "He has been my sweetheart since I was 14 years old. We lived in the same neighborhood. I always loved his sense of humor and we got married when I was 19. My parents wouldn't let me go out dancing. Dancing has become our hobby. 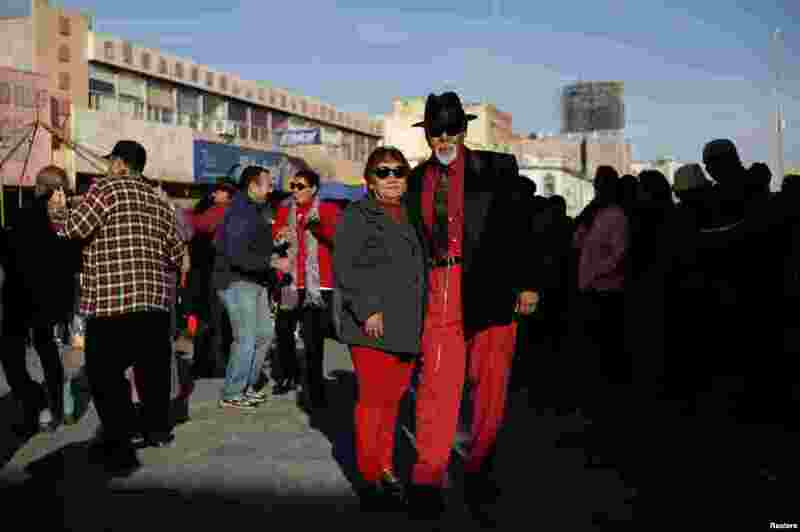 We go dancing on Saturdays and Sundays in downtown Ciudad Juarez, dressed as Pachucos. We have five children, 13 grandchildren and six great grandchildren," Yolanda said. 8 Huang Chenfeng, right, 63, and her husband, Zheng Dingguo, 63, pose for a picture at Fudan University Shanghai Cancer Center in Shanghai, China, Feb. 6, 2018. Both originally come from Wenzhou in Zhejiang province. 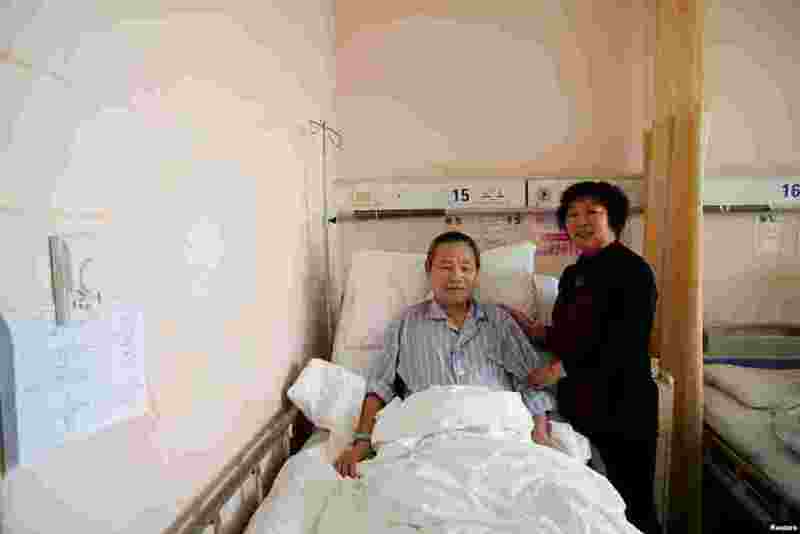 Huang has been taking care of her husband around the clock since he was admitted to the hospital for cancer treatment. The couple had an arranged marriage, organized by their parents in 1972.